Nina G, "The Stuttering Comedian"
Nina G, "Tthe Stuttering Comedian," is a professional speaker, storyteller, writer, and educator. She brings her humor to help people confront and understand disability culture, access, and empowerment. 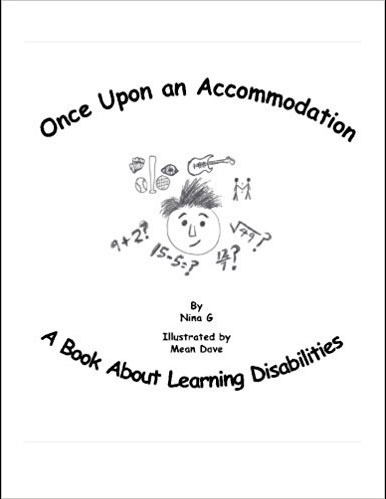 A member of the comedy troupe, The Comedians with Disabilities Act, Nina G. is the author of the children’s book, Once Upon An Accommodation: A Book AboutLearning Disabilities, that helps children and adults advocate for their rights as a person with a disability, and the upcoming memoir Stutterer Interrupted (2018). An excerpt: "Ask any person who stutters, and they will tell you we are constantly interrupted. Any slight repetition or block results in a $10,000 Pyramid-style guessing game. As the person who stutters gets out, "p-p-p", the fluent counterpart guesses everything from pizza to pumpernickel bread. If people who did not stutter just waited patiently, people did stutter would be able to get out our thoughts and ideas." 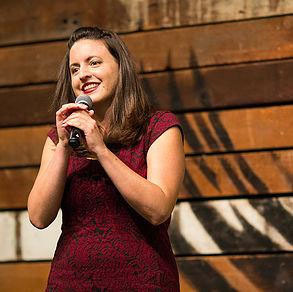 Her one-person show, "Going Beyond Inspirational," is a comical exploration about growing up with learning and speech disabilities debuted in 2015. The comedy event is sponsored by UAlbany’s Disability Resource Center, University Auxiliary Services, Division of Student Affairs and the NYS Writers Institute. Watch Nina G.'s TedX talk from February 2016.